Hanukkah is celebrated by the Jewish people in November or December. Wait, I think there’s something amiss. It’s Chanukah, not Hanukkah. Or is it? Does the scenario above sound familiar to you? 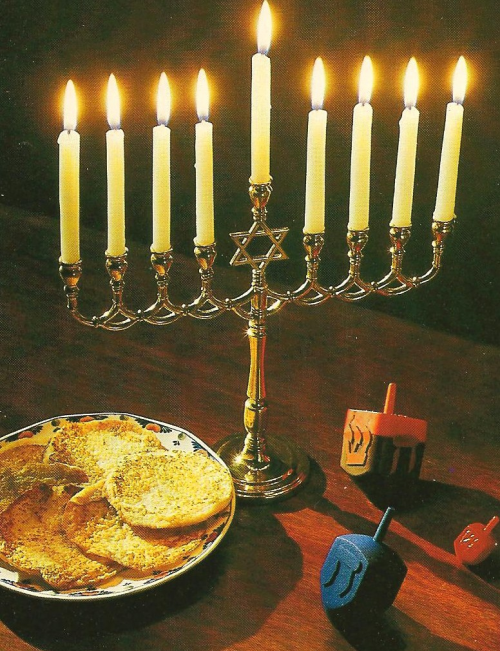 Have you ever wondered why some people call it Hanukkah and others call it Chanukah? Are they the same? Or are they two different Jewish holidays? If you’ve asked yourself these questions, this article is for you. The word Chanukah means “dedication.” It is a Jewish holiday that commemorates the victory of a small army of Jews (the “Maccabees”) over the Greek army that occupied the Holy Land in the 2nd century BCE. On the Gregorian calendar, Chanukah often occurs in November or December. However, in the Jewish calendar, the holiday starts on the night of Kislev 25 and culminates after eight days. Chanukah is also often referred to as the “Festival of Lights” because its main feature is lighting the nine-branched menorah (candelabra). The menorah has one main light or the “shamash” which is the source candle used to light the other eight candles. One candle is lit on the first night, two are lit on the second night, and so on. On the eighth night, all nine candles on the menorah would be lit. Houses, places of worship, and public areas have menorahs placed near the doorway or window. Fried foods like potato latke and jelly-filled sufganiyah are traditionally eaten during Chanukah. This custom is a commemoration of the miracle of a tiny bottle of oil that illuminated the Menorah of the Second Temple for eight days. During Chanukah, children play with the “dreidel” which is a spinning top with the Hebrew letters nun, gimmel, hei, and shin, an acronym for nes gadol hayah sham, which means “a great miracle happened there.” It is also customary for children to receive Chanukah gelt or money for them to give to charity. Hanukkah is an alternative spelling of Chanukah. It refers to the same Jewish holiday. In Hebrew, the word “Hanukkah” starts with the letter het or chet. This letter has a guttural pronunciation, much like the -ch in the word “loch” or “Bach” which does not have an actual equivalent letter in English. Letter “h” seems to have the closest sound, thus Chanukah became Hanukkah. These days, Hannukah is even more commonly used than Chanukah. What, then, is the difference between Chanukah and Hanukkah? Chanukah and Hannukah are one and the same. However, Hannukah the more popular spelling these days.